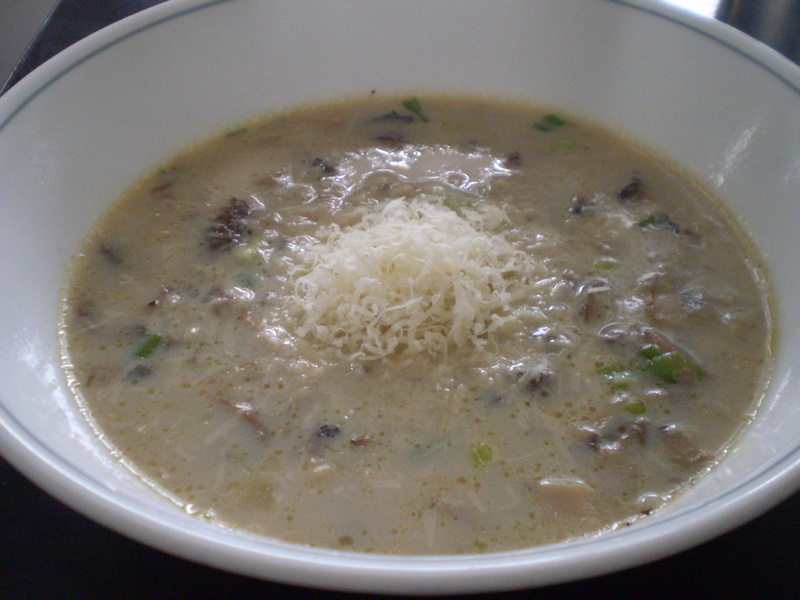 Mushroom and rice soup garnished with parmesan cheese. This recipe provides approximately four servings. about 5 dried shitake mushrooms, soaked with 2 cups of water for several hours until soft. 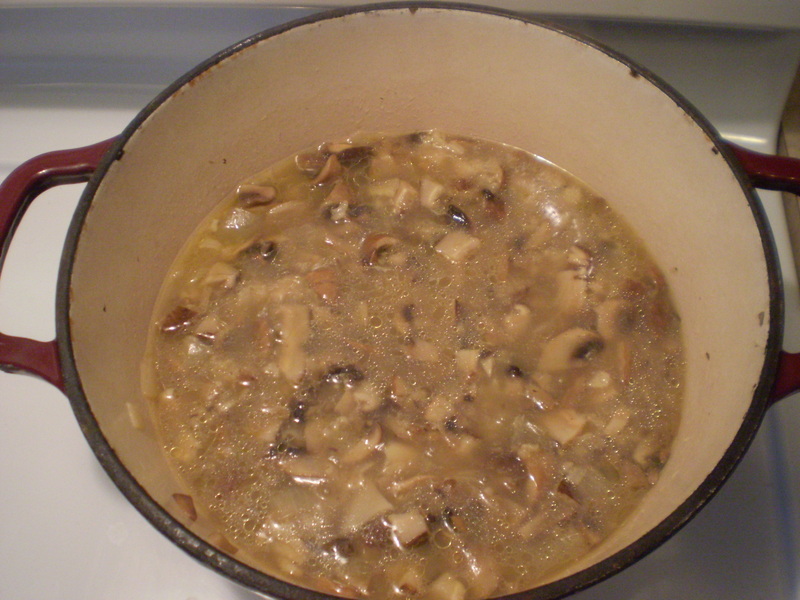 Once ready, squeeze out any liquids (but save all the liquids) and then finely chop the mushrooms. 1/3 cup rice (I used brown rice, but red or wild rice would also be ideal). 1. Heat a large deep pot on high. Once hot, add butter, oil, onions and garlic. Turn down to a medium heat. Cook until onions are soft (approximately 5 minutes). 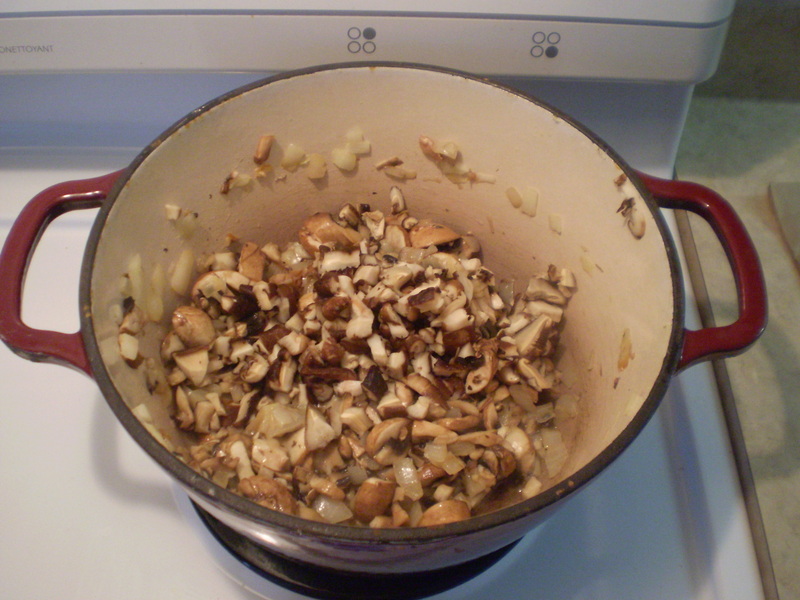 Mushrooms, onion and garlic sauteing. 2. Add the cremini and shitake mushrooms. 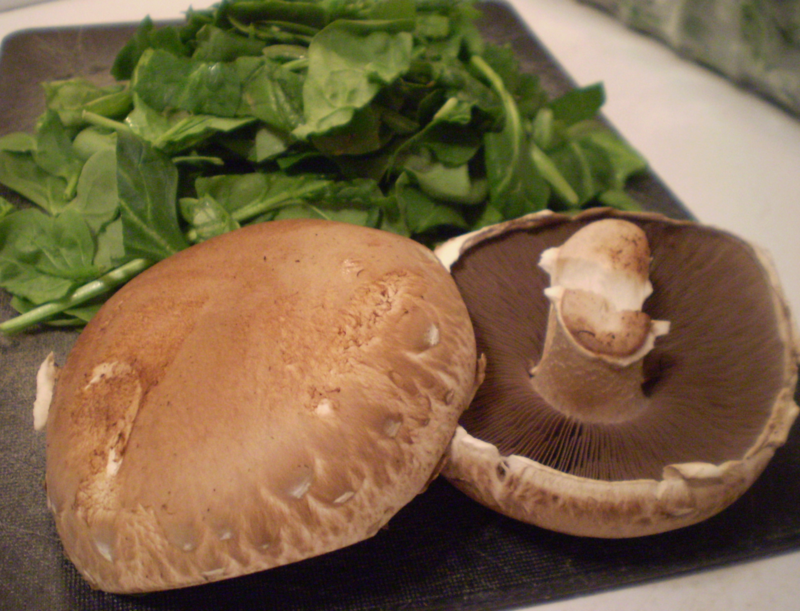 Sprinkle a little salt as this will help the mushrooms soften faster. Soup (with no milk, yet) coming to a boil. 3. 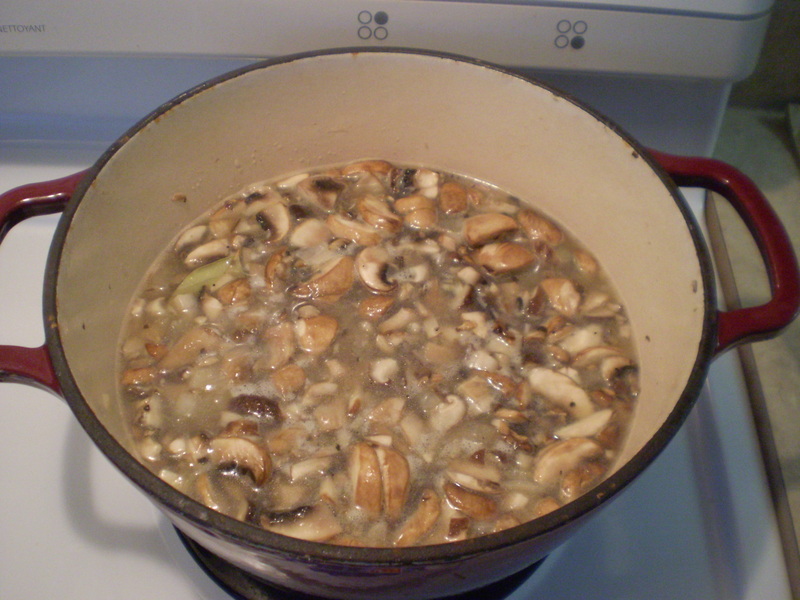 Once the mushrooms are soft add in bay leaves, honey/maple syrup, broth, liquid from the shitake mushrooms, rice and approximately 1 cup of water. 4. 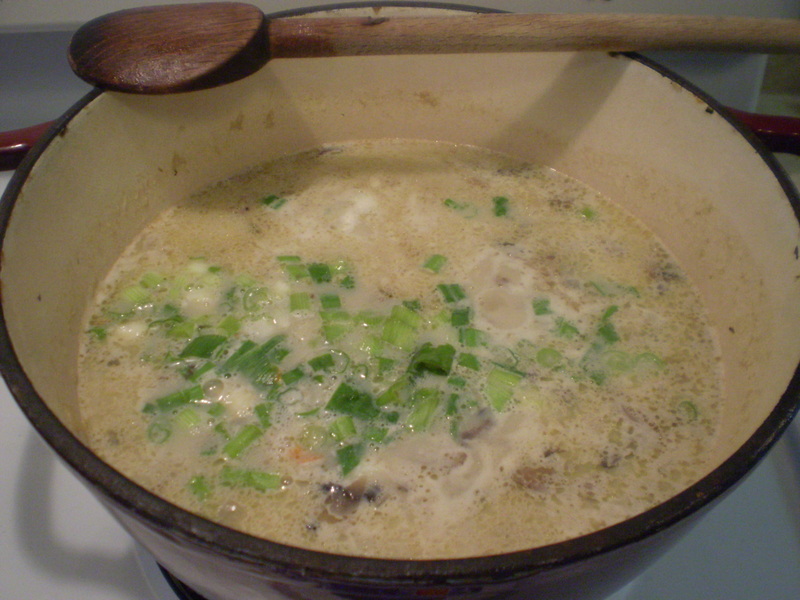 Allow soup to come to a boil, then turn down to a simmering heat. Soup (no milk added yet) after one hour. It has become a warm taupe colour. 5. 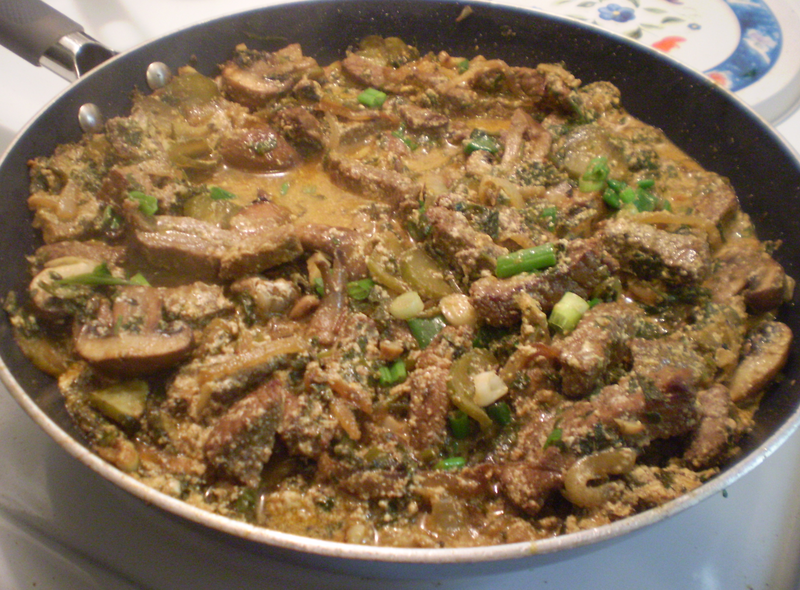 Cover and simmer until rice is super soft (approximately 1 hour). After 1 hour, the soup will have turned a warm taupe colour. 6. Add in milk and green onions. Once the soup begins to boil, it’s ready. After the milk is added and the soup has come to a boil, it’s ready to be eaten. Enjoy. 7. Dish into separate bowls. 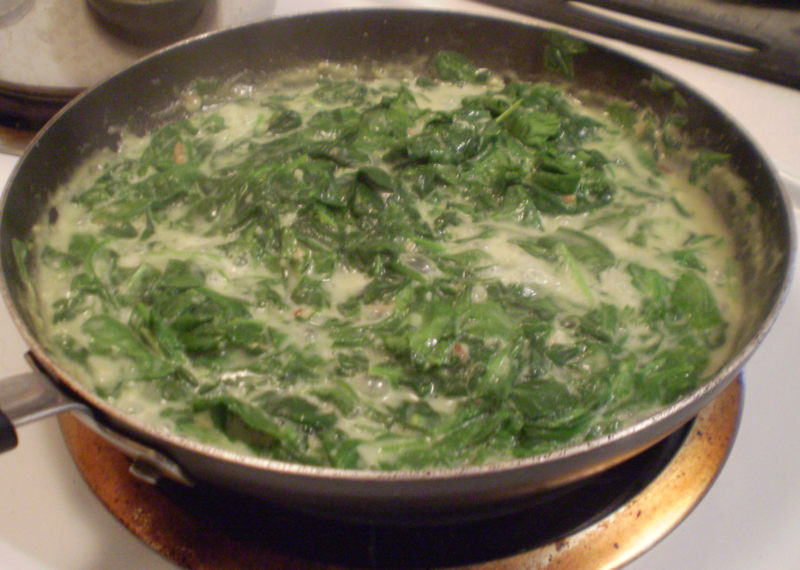 Garnish with grated parmesan cheese and serve. 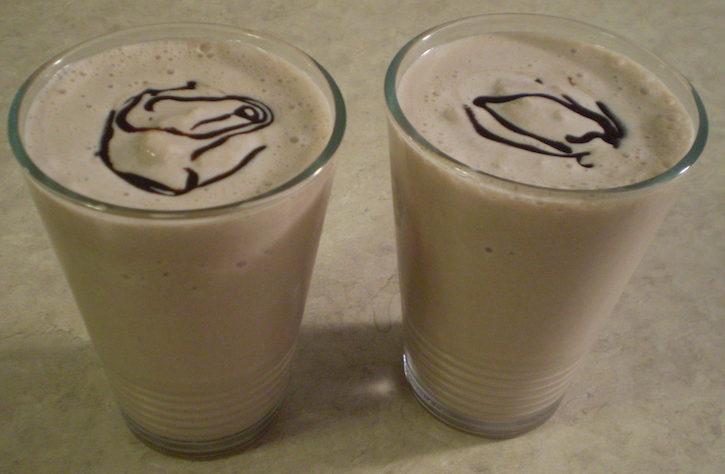 Two chocolate milkshakes garnished with chocolate syrup swirls. Serves two. Adjust quantities to suit your own preferences. 2. Whiz on high until thoroughly combined. 3. Pour into two tumblers and drizzle a swirl of chocolate syrup on top as a garnish. Healthier version: replace half the amount of ice cream with frozen yogurt, use skim milk, add a banana and/or a handful of frozen fruits (strawberries, blueberries, peaches, etc.). 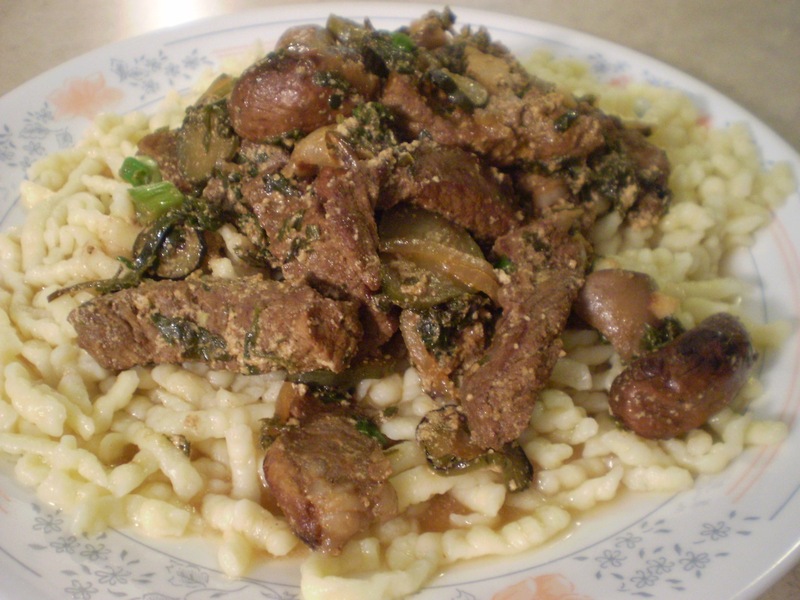 Beef stroganoff with German egg noodles (spaetzle). 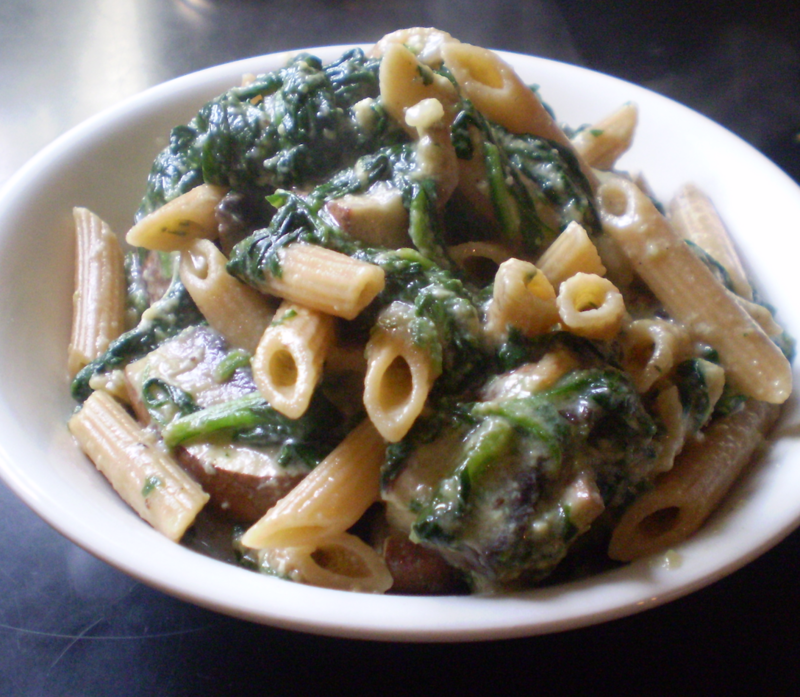 This recipe was inspired by Jamie Oliver’s version. 1. In a bowl, season beef with sea salt, pepper, paprika and sugar. Coat the beef well with the seasoning. 2. Heat a large pan on medium. 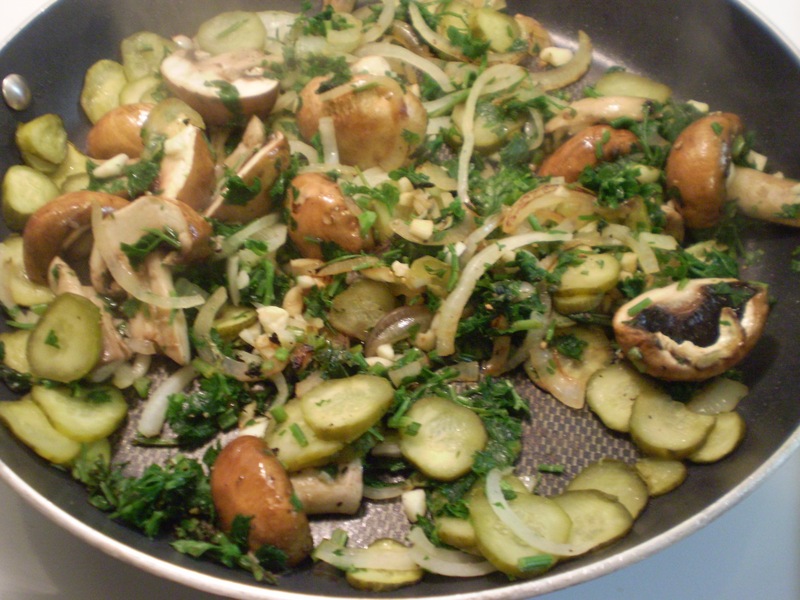 Pickles, garlic, onions, mushrooms and parsley gently cooking a large shallow pan. 3. Add 2 tbsp oil, onions, garlic, pickles, parsley and mushrooms. Season lightly with sea salt and pepper. 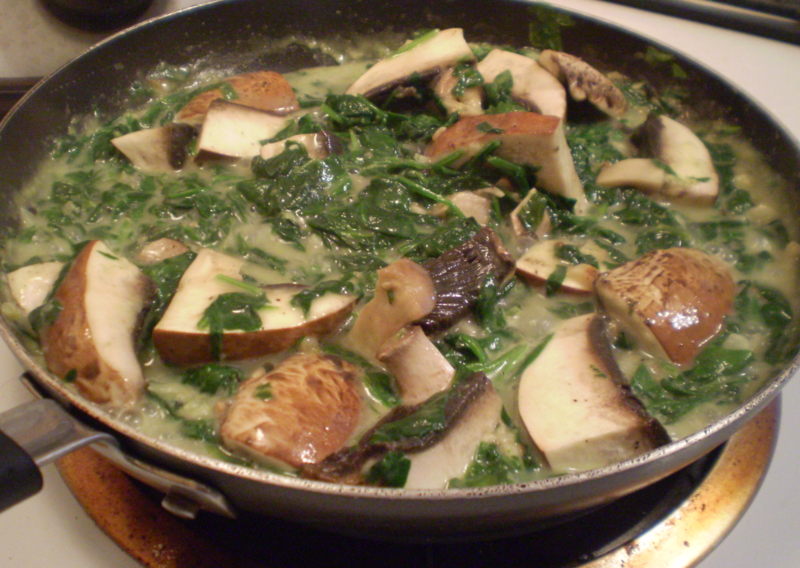 Sautee for about 5 minutes or until mushrooms are soft. 4. Temporarily transfer contents of pan onto a plate or bowl. 5. Increase burner heat to high. In the same pan, add oil, then beef. Sear the beef for a couple minutes on each side. Try not to over cook the beef. 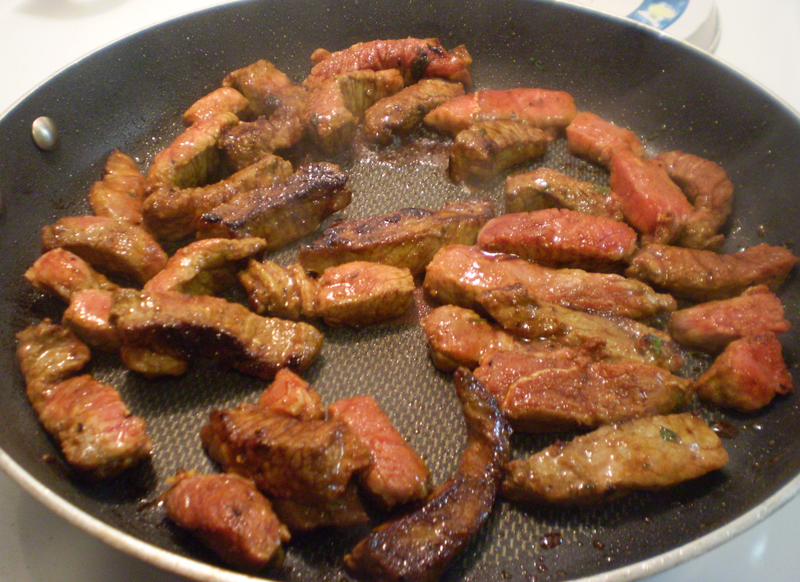 Strips of beef searing in a pan. 6. Add in brandy and return the vegetables into the pan. 7. Turn off heat but do not remove pan from burner. 8. Add in yogurt, milk and green onions. Mix well. 9. 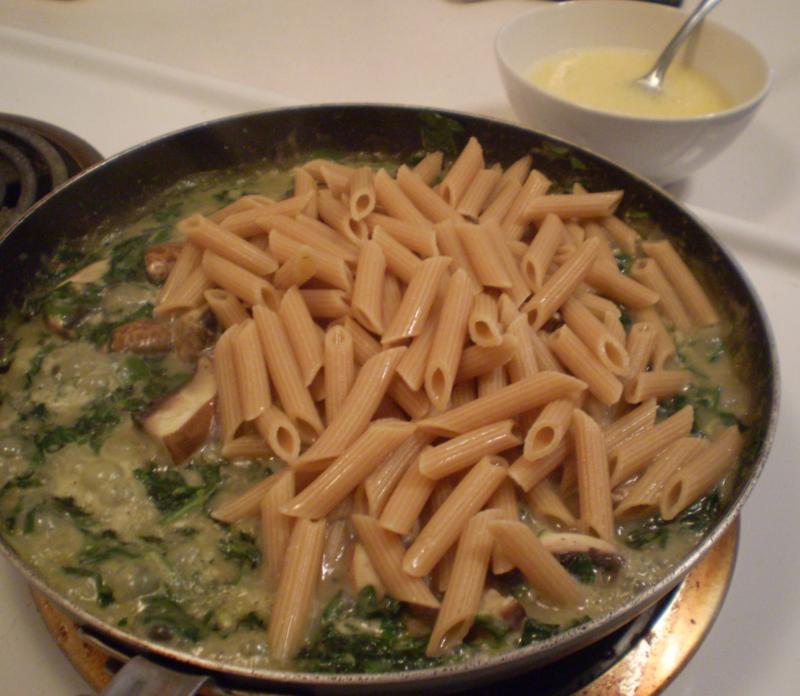 Serve with rice or egg noodles. A bowl of potato and carrot soup. In a pot on high heat, add in the oil, butter and onions. Cook until the onions are soft, then add in the potatoes and carrots. Cook for a few minutes during which time the starch from the potatoes will be released and cause sticking. Add water and seasoning (paprika, dijon mustard, salt, pepper and sugar). Cook for a few more minutes and then add in the broth. When the liquids begin to boil, turn down the heat to a simmer and cook until the potatoes are fork tender. With a potato masher, push down on the potatoes until a lumpy mash potato consistency is achieved. If you like your soup creamy and smooth, use a hand held blender or food processor to achieve your desired consistency. 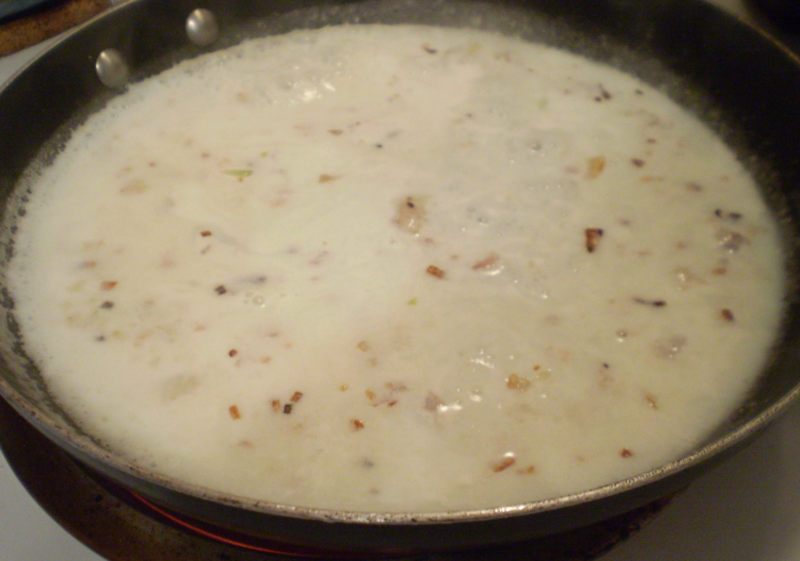 Lastly add in the milk and simmer until hot. Serve immediately. 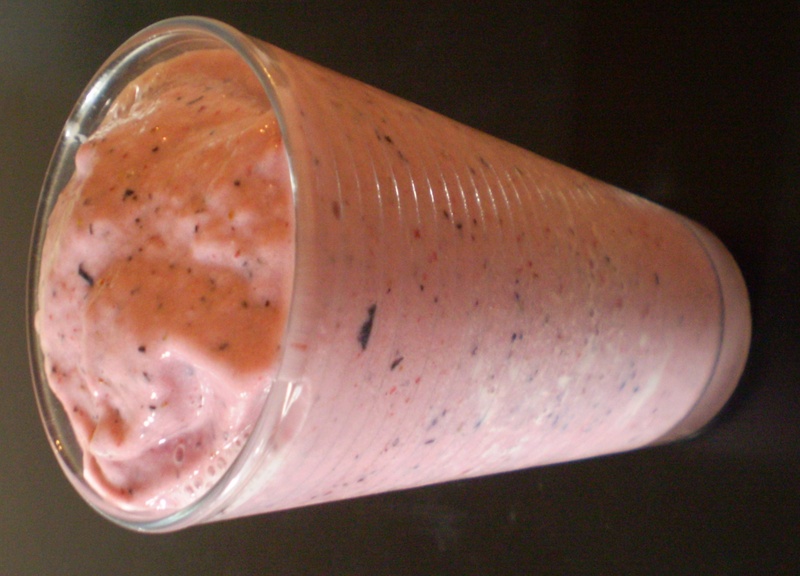 Frozen blueberries and strawberries in a blender. 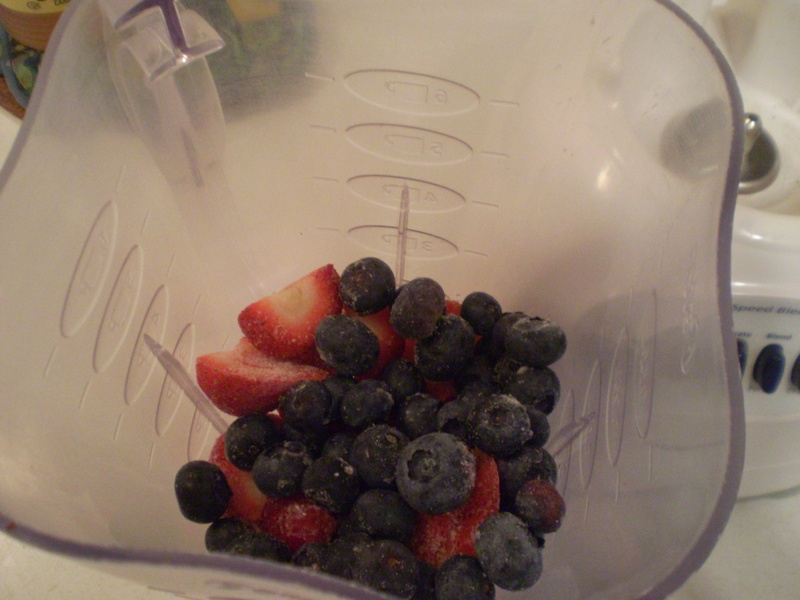 Place the strawberries and blueberries into the blender first. They are the hardest items to breakdown and should be closest to the blade. Add in the honey, yogurt and milk, then pop the lid on and blend until the mixture is smooth. Open the blender lid, give the mixture a good stir with a long spoon and blend once more for a few seconds. Serve immediately with a straw. For alternatives, try different combinations and/or additions of frozen fruits such as mango, peaches and raspberries.